Active disinfectant gel for inside and outside, chlorine-free. 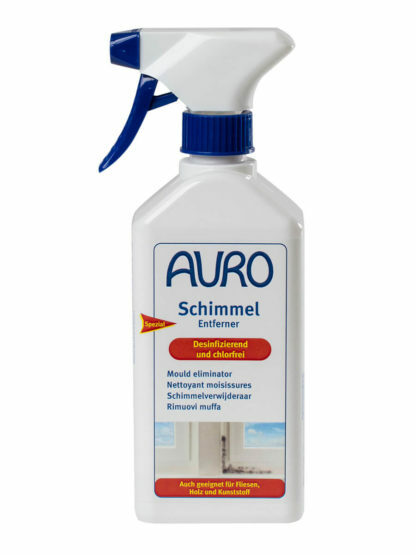 Removes mould from tiles, walls, wood and plastic, also in damp rooms. 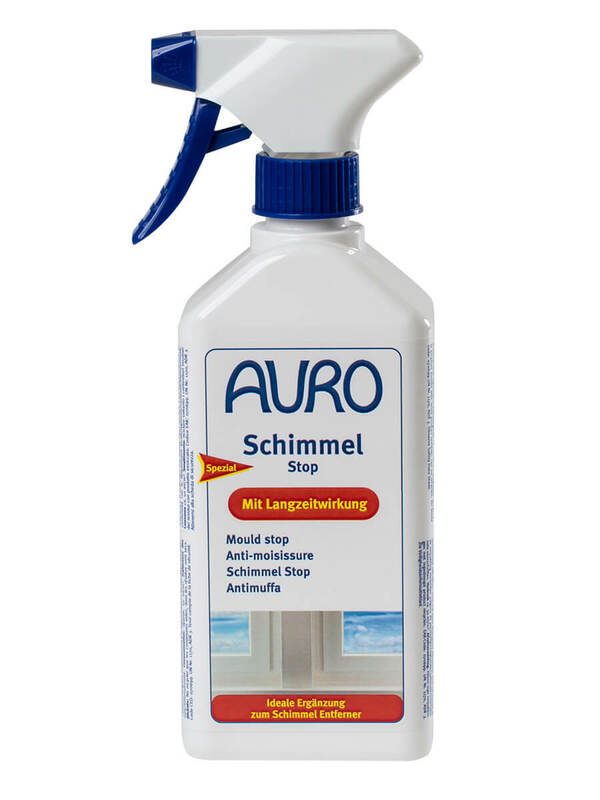 We recommend a subsequent treatment with AURO Mould stop No. 413 and preventive coatings with AURO Anti-mould paint No. 327 for walls. Our “Pur-San3” box (No. 414) is a complete set containing all three products. ***Use biocides carefully. Always read the label and product information before using. *** Stop mould! Spray on infested surfaces uniformly and allow to react for at least 1 hour. Afterwards use a soft brush or sponge to remove dissolved residues. Wipe thoroughly with a moist sponge or cloth. For the effective removal of mould, AURO offers a three-component anti-mould program called Pur-san3. Besides the Mould eliminator, it contains the Mould stop no. 413 and the Anti-mould paint no. 327.